When you’re raising money to fund your creative efforts, don’t overlook the possibility of fundraising on your own. What do I mean by that? I mean you actually ask your friends and colleagues to donate money for your project. This “ask” can take many forms. One way is to throw a fundraising party. This party can be a swanky wine and cheese tasting in a friend’s home where you read some of your work and then ask for donations. It can be a theatrical event where ticket prices are donations. You can raffle something off. You can host a donor dinner. You can even solicit donations from businesses to pay for the refreshments or party favors at your fundraiser. The list is endless. Morrie Warshawki’s book The Fundraising Houseparty is a good resource to check for more ideas. You can also write a direct mail fundraising letter where you solicit donations from people you know and who know your work. This is easier than throwing a party or putting on an event, but it will still take guts to ask people directly for money. I raised several hundred dollars with a direct mail campaign when I wanted to attend an expensive workshop with a prestigious instructor. I still ended up applying for a grant to fund the full cost but the few hundred dollars I raised on my own showed the funder that I had a team of individual donors behind me who believed in my work enough to write me a check. As I’m sure you can imagine, doing your own fundraising is not for the faint of heart. The whole topic of money-having it, spending it, asking for it-can bring up your own beliefs, fears and neuroses. However, the sooner you discover these, the sooner you can sort through them and find your own clarity. To be successful at any fundraising, you need to believe in your project enough to be willing to ask others to help you bring it into being. Fundraising forces you to clarify your project, consider your audience, and create the highest quality work. You need to do these things anyway, so fundraising just helps you with a process you are already engaged in. That can be scary, but no scarier than going to the writing desk and creating your work. Even if you only earn $300 from throwing a fundraising party, that $300 may be what separates you from another grant applicant who doesn’t have any other sources of revenue. Your project is much more competitive in the eyes of funders if your budget shows money you have already raised towards your project. And fundraising on your own shows chutzpah and determination, two qualities that granting organizations find irresistible. This month: Put on your party hat! Brainstorm the most fun, creative ways you can to invite people to invest in your work and in your future as an artist. 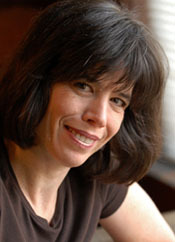 Gigi Rosenberg writes about motherhood, relationships and the writing life. 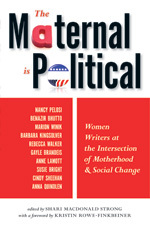 Her latest essay “Signora” appears in the Seal Press anthology The Maternal is Political. Her work has been published in Parenting, Writer’s Digest, The Oregonian, The Jewish Review and featured on Oregon Public Broadcasting. Gigi coaches writers on how to read to an audience. She is currently writing Get Your Art into the World: How to Fund Your Creative Endeavors a book to supplement her national workshops on grant writing. A couple of months ago I talked about calculating the expenses for the budget that goes with most grant applications. This month, let’s look at the side of the budget form where you list the income that you might earn from this project. You may wonder: how can a budget have a section for income? Isn’t income the money I am trying to get from the granting organization? How could I possibly have other income to list? In fact, the grant you’re applying for may only be part of your income. Why does income matter? Many granting agencies like to see that you have several sources and that you are being supported in many ways besides this one grant you are applying for. Having several sources of revenue is also a good thing for you: if one dries up, there are always others. What are some examples of income? Merchandise: Let’s say your project is a literary event. Maybe you’ll be selling books, posters, or t-shirts at the event. The money you bring in from these sales can be listed as income on the grant application. Ticket sales: Your project may include an event that people will buy tickets to attend. The money you take in as ticket sales can be listed as income. Estimate how many people will attend based on how many are on your mailing list, how many have attended your past productions, and how vigorously you’ll be getting the word out. Always underestimate. In-kind donations: An in-kind donation is a product or a service that a company or individual gives you for a project, such as a graphic designer who donates her time to design your poster. Or a commercial printer may give you the paper to print the poster. In-kind donations show that others have so much faith in your work that they are willing to give you valuable goods or services in support. List the monetary value of such donations as income. Having several sources of income on your grant application will make your application more competitive. Let’s face it: if two writers apply for a grant and one lists no other sources of income while the other says she’s already earned $1,000 from another grant or is poised to sell her books, other merchandise, and tickets, who would you fund? Chances are you’d fund the writer who showed, by her efforts, that she plans to succeed, no matter what. Next month we’ll explore more ways to earn income for your project. For now, brainstorm like an author-preneur. How many ways can you think of to earn money (or donations) for your project besides this one grant you are applying for? Nobody likes a “needy” person, least of all funding organizations. Although you will never actually write on the application, “This project will happen with or without this grant,” this is the attitude that you must foster; it will be reflected in the language you choose and in your budget. Granting organizations want to fund writers who take responsibility for their own success and who are not always waiting for something else to take their work forward. Therefore, your application must convey that you are so devoted to your project that you will ensure that, no matter what, your project will come to fruition. Think about it: if there are two writers who both have talent but one has chutzpah and the other doesn’t, who is going to receive funding? Chances are it’s the writer with chutzpah who will get the money because, no matter what, she will persevere. How do you show this attitude on the application? One way is through the use of verb tense. For example, when you are editing, delete any conditional verbs. Change all “coulds” “shoulds” and “woulds” to “can,” “shall” and “will,” as appropriate. Readers of your grant should feel that your project is already happening or is at least well on its way. Your answers should enable a reviewer to hear, feel, smell, see and, if possible, taste your project. But hey, if you make your living as a writer, this skill is in your toolkit. Use it in your grant applications like you use in your short stories or creative nonfiction. Another way to show your grit is in your budget. If the application has a budget form, it will probably have a line to note other grants you’ve applied for. Nobody likes to be the first one or the only one to finance. In the best case, you will have already received money from another source. Funders feel more secure when they see that other individuals or groups have already contributed to your project. Next month, we’ll discuss the details of how to show your determination in your budget. For now, try this month’s assignment: What actions can you take to make your project more “real”? Is there anything about the project you can put into motion and write about in your application? Now change the conditional verbs to present or future tense and see how this enlivens your application. Many grant writers make the mistake of thinking that once they mail their application, the process is over. In fact, the grant writing process isn’t over until you have sent your thank-you notes. Send a thank-you note no matter the outcome of your grant. Thanking people is the way to build your relationships and your community. If you receive the grant, send a thank-you note to everyone involved in the granting process. Start with the person who signed your award letter, but don’t forget about the head of the organization and the panel who judged your work. Sometimes the funding agency will supply a list of panel members and their snail mail addresses. In your note, make a brief reference to your project and how excited you are to have the support of this agency. Be upbeat and grateful. If you don’t get the grant, give yourself a day to pout, cry and complain. But do not correspond with the granting agency when you are feeling defensive, angry and unloved. Save these feelings for your good friends and/or the therapist’s couch. Within two weeks of receiving your rejection letter, when you are feeling more upbeat, send a thank-you note to the granting organization. Even if your project was not awarded funding, this is still the beginning of a relationship. Thank the organization for considering your application. Tell them that you appreciate the feedback you received (if you’ve received any) and that you look forward to writing a stronger application next time. Thank-you notes should always be handwritten and mailed in an envelope with a commemorative stamp. No email thank-you notes unless that is your only choice. Write your note on professional-looking stationary with your name printed on it. This can be fancy or inexpensive. But it needs to be real and sent through the mail. This alone will make you stand out from the crowd. Then, call the organization to get feedback on your grant. This is not always possible or available but if it is, this information can be a goldmine. You may find out that you had a stellar application that would have been funded except they ran out of money. Most likely you will receive very useful tips for how to improve your application next time. During this phone call, don’t try to defend or explain your project. Most likely the person on the phone with you was not part of the final decision anyway. Just get the facts about why you weren’t funded and how you could strengthen your application next time. Closing the loop with gratitude is a way of staying in the game. Even if you’ve lost, you’re hitting the ball back; you’re saying you will learn from the experience. You’re in it for the long haul. You’re a contender. And if you’ve won, your appreciation will only reinforce the favorable opinions of the people and organizations that have helped move you further toward your goals. Are you lighting some fireworks under your writing career? For me, summer has always been a good time to create excitement about my work. And this summer is no exception. Read on for lots of news. The first one might be a little bumpy but they will definitely get better. One thing is certain, I will not run out of my former student’s success stories any time soon. They just keep rolling in! So I thought, why not feature them in a series of short podcasts? And now I am. I hope they inspire you as much as they inspire me. This giveaway was a huge success last year. You don’t have to be a mama, just a writer. This year we’ll have more books to give away and more thought-provoking career questions for you to answer to qualify to win. Participants last year commented on how much they learned both from answering the questions as well as from each other. Don’t miss it! Please share the WM Back to School Giveaway badge with all your friends with a link to the Writer Mama blog! But wait! Before we move on to my second book, Writer Mama is still selling strong. In fact, I appreciate all the word-of mouth you can put behind it, whether that means suggesting Writer Mama to your friends, your writing association, your writing conference bookseller or your local library. For the months of July and August only, there are two ways to get the list of free markets (because I know many of you own Writer Mama already): you can either purchase the book and e-mail me a copy of the receipt or you can act on any of the word-of-mouth suggestions above. Let me know that you have helped spread the word and that you already own Writer Mama, and I’ll send you the list of markets. Send all request e-mails on this topic to writermama2@earthlink.net. There is a time to go into your cave and get your work done and then there is a time to crank up the excitement factor and reach out to others. Are you cranking up some excitement for your writing career? I sure hope so! If not, don’t worry, there’s still plenty of summer left. P.S. You can always refer back to the Writers on the Rise blog, where these articles will be archived over the course of the upcoming month. With the roles reversed, the would-be applicants transform into donors full of questions: How will the money be spent? How will the project be carried out? Who is on your team? What is the timeline? Where is the venue? How is this project meeting a need? Why are you the best person to carry this out? Consider playing this game with your project as you prepare your grant application. Step into the funder’s shoes. By now in the process, you will know what matters to the granting organization. If you still don’t feel like you know them well, continue your research; talk to others who’ve been funded by them. This game will force you to scrutinize your project from every angle. How could this project better fit the mission of the granting organization? What is still unresolved? If this was your own money, would you fund this project? Why? Why not? You may even identify some strengths of your proposal that you hadn’t noticed yet. This game will help you ask the toughest questions of your project. Don’t be afraid of such a rigorous process, for it is the process the funder will use. And it will let you know if your project is ready. Funders want clarity, specifics, and accountability. If it doesn’t pass your own scrutiny, find a different project to propose that is more fully realized. A question that many funders want answered, even if they don’t ask it on the application, concerns timing. You can think about timing in at least two ways: Why does the world need your project right now? How is this project perfectly timed for where you are in your career? The projects that are the most urgent or best timed will be the ones that get funded. Funders want to sense urgency, not panic. So, tell them somewhere on the application why this project needs to happen now. If this is a professional development grant, they will want to know how this helps your career right now. Tell them why you need this opportunity at this time and not next year or in five years. If this is a grant to support a big writing project, answer the question: Why can’t this wait? Your assignment for this month: Put on the funder’s hat and ask yourself, “Would I fund this project? Why or why not? How is this project perfectly timed? Usually the form has two sections: one for expenses and one for income. This month we will focus on the expense side. The budget is as important as your answers to the application questions, so leave yourself as much time to prepare the budget as you do for answering the questions. 1. Make a list of all the steps required to complete your project. This may take a few rounds of revision. Don’t forget the minutiae like purchasing office supplies, arranging hotel accommodations if you’re traveling, printing, designing marketing materials, hiring consultants, etc. Don’t concern yourself with the cost of anything now; just write down every small step of your project and any items you need to purchase or hire out. 2. Calculate prices for each item on the list. Some prices you will know off the top of your head. Other prices you will have to research. How much is round trip airfare to Alaska these days? What is the cost of printing postcards? What is the hourly rate of that consultant? What does a box of paperclips go for? Depending on the detail of your budget, this could take several hours; however, most information is readily available online or by calling your suppliers. Estimates are fine; you don’t need to be accurate to the penny. 4. Contact the Funder to see if you can look at budget forms from successful grant recipients. Seeing one filled out correctly can be a big help. Find out what expenses are allowable. For example, some funders don’t pay for equipment purchases; some don’t pay for meals. Don’t include any expenses that the funder doesn’t pay for. This will usually disqualify your application. If you are not sure, call to double-check. 5. Explain all line items. None of the information you provide should be mysterious. It should all make sense and relate to expenses you’ve outlined in your proposal. Label every line item specifically. For example, rather than “Printing,” write “Printing posters and postcards” so that it is clear what each expense relates to. Remember: Your budget is the story of your project told with numbers. Making your list of potential expenses will give you all the fundamentals you need to tell your story well.